Step into the shoes of the legendary, one and only eight-division World Champion, Manny Pacquiao. Prove you’re as good as you think you are in online tournaments that have never been this exciting! 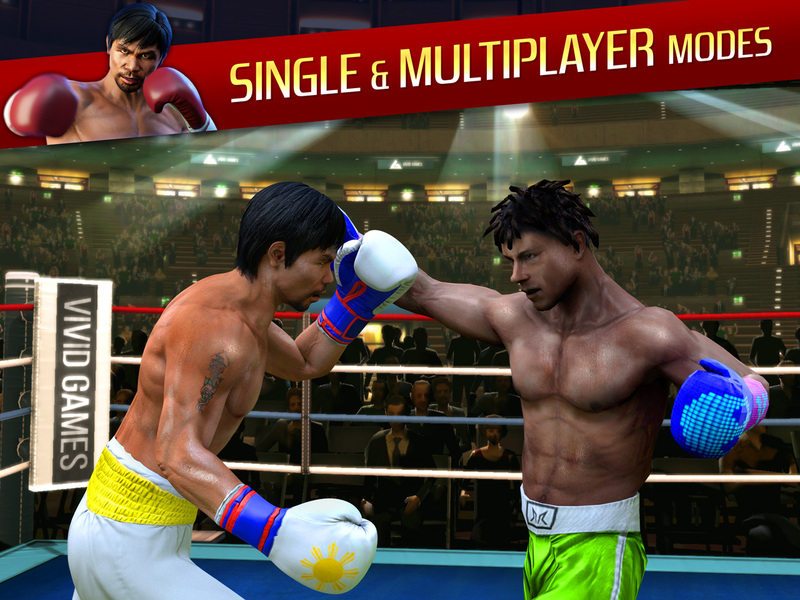 Play as Manny in all game modes, both single – and multiplayer. 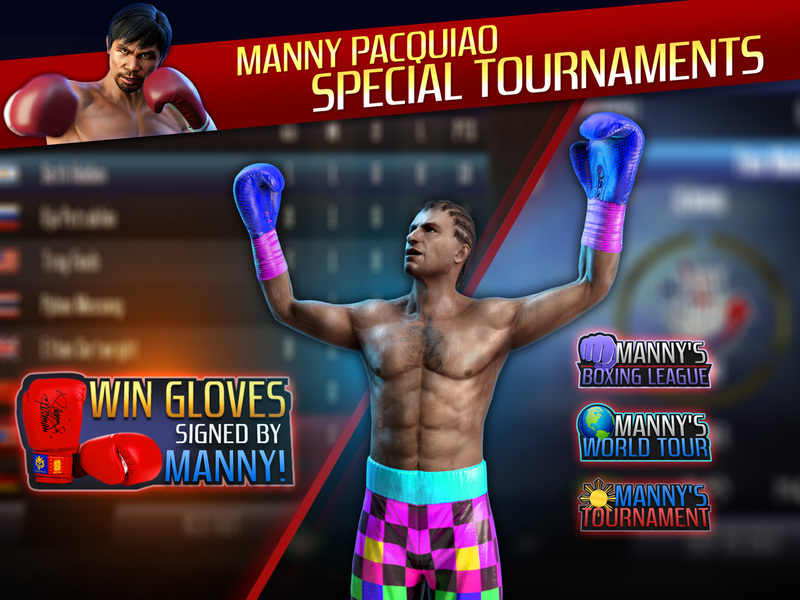 Win unique in-game prizes, from skins to gear, all branded by the famous boxer himself! Fight for victory and become true World Boxing Champion. Real Boxing® Manny Pacquiao is an entirely new chapter in the Real Boxing® brand. 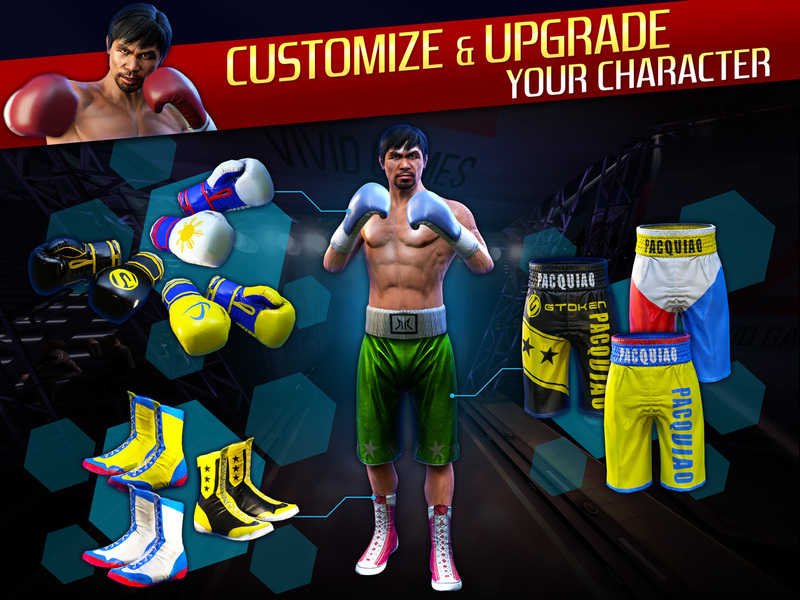 The most known mobile boxing franchise in the world, played by over 43 million gamers around the globe, this time brings the World Boxing Champion Manny Pacquiao into the ring. Powered by the Unreal Engine, Real Boxing® Manny Pacquiao features ultra-realistic lifelike graphics, with extensive motion capture technology featuring professional boxers. 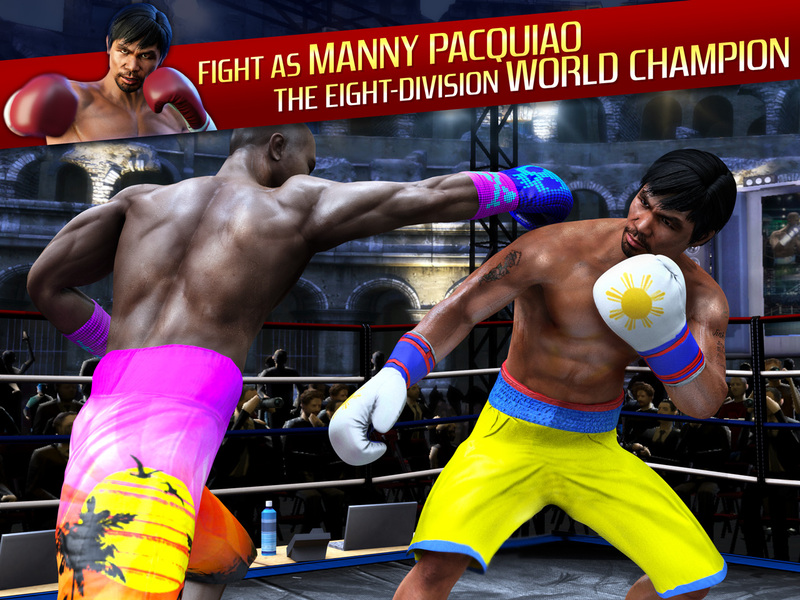 One of the best mobile sports games with professional boxer in the ring: Manny Pacquiao, the first and only eight-division World Champion! What's new in Real Boxing® Manny Pacquiao? 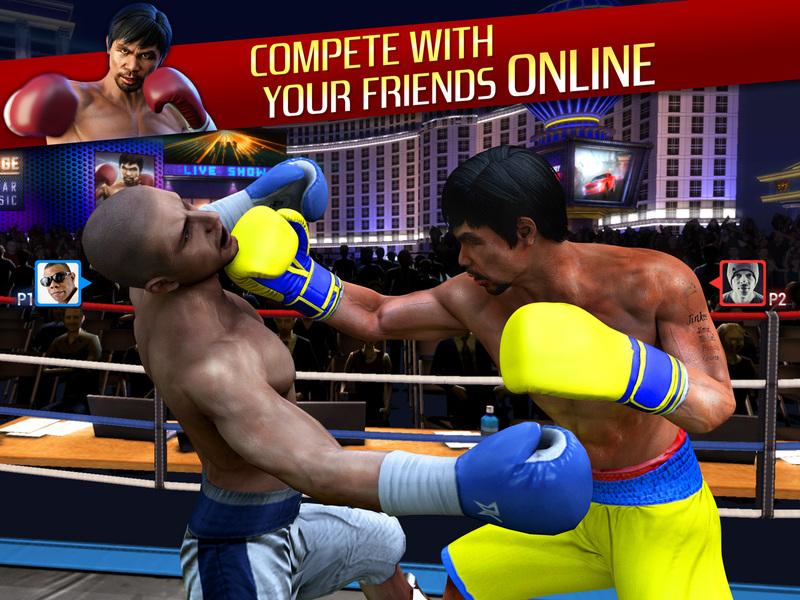 We are thrilled to announce that just half a year after Real Boxing 2 ROCKY™ debuted on the market to critical acclaim, during Game Connection Europe 2016 in Paris, Vivid Games partners with GTOKEN to bring boxing world champion Manny Pacquiao into a mobile ring in Real Boxing® Manny Pacquiao. The game will be available on the Apple App Store and Google Play in Q2 2017. – Boxing is one of my greatest loves, and I hope that I will be able to share my dedication and love to the sport through Real Boxing®, added Manny Pacquiao, World Champion Profeesional Boxer. More information can be found in a press release below.